Description: An original painting by Kalpana Soanes. 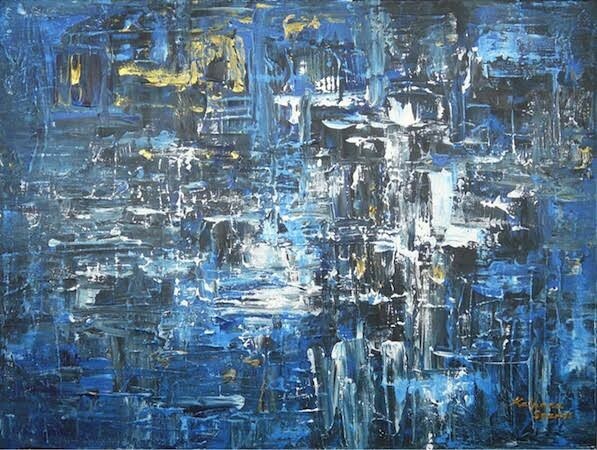 A large abstract in beautiful, cool shades. Shades Of Solitude. A painting to make a strong focal point in any room. Lovely textures and colours on chunky canvas. Painted sides, ready to hang, no need for a frame.